Specially designed to make exercise easy for dwarf hamsters and mice, these perfectly sized Run-about balls allow tiny pets to maneuver with greater ease. Our mini Run-about balls provide pets and pet owners with interactive fun during playtime. Mini Run-about balls also make a great temporary area to keep your little critter while you are cleaning their cage. 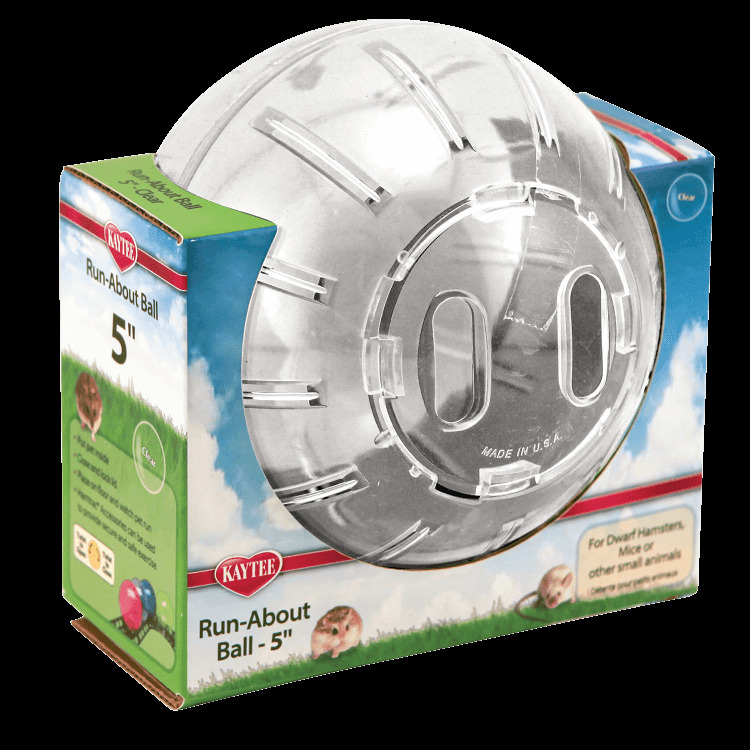 For added safety, use your mini Run-about ball on Kaytee Hamtrac and provide your pet with a controlled exercise environment. 5.25" x 5" x 5.5"